Haha, I couldn't pass it up. 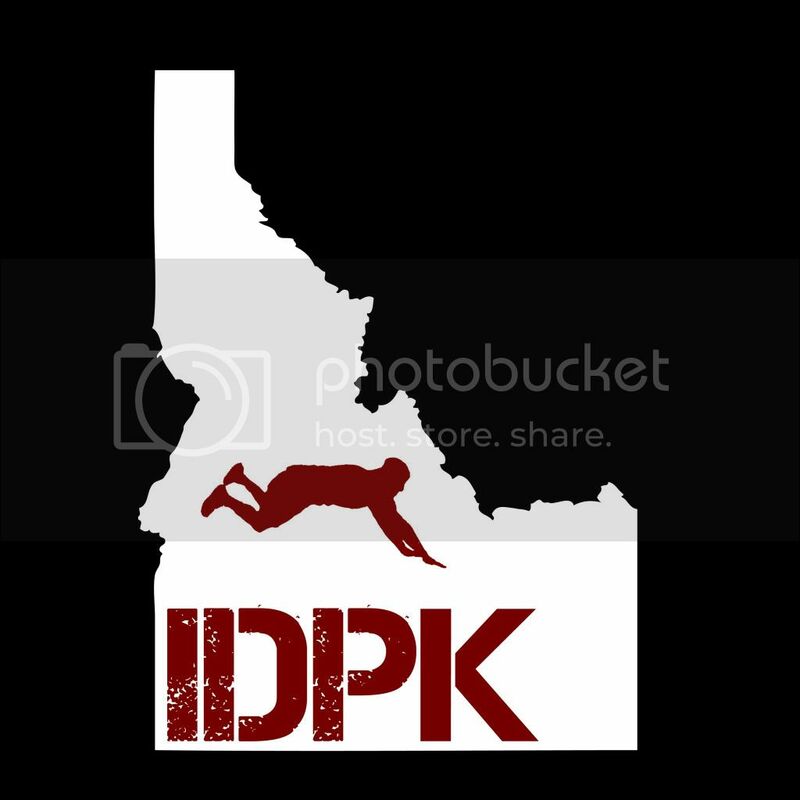 my vote is the black background-white idaho-red kong vault on IDPK. it's before the taters. lol... but i really think it's the coolest. I really like the kong as well. I think that is my favorite one along with the strides. Anyone else have feedback? So this is going to be the official IDPK design? So we're all for that design getting printed? I think so. We're all for that one. I went up to Idaho last week, and dang, it's really cold. I got used to New Mexico. Alright. Well then, I'll talk to some printers around town and see how much it is. I would hope that we'd all pitch in to print shirts. You mean we don't get them for free haha nah I know it will cost. Post the prices you find and I would consider buying one or two. i'm down to pay, as well. post on the NoBo facebook page, too, cus i'm sure a ton of people are down to get an IDPK shirt. Sure will. I'm looking at some websites like Cafe Press. I'll let you all know. I'm using spreadshirt for my company Asphalt Science. I posted it up there if any of you want to buy one. I can also change it so if you want a different color than black. Two things, first off, I'M IN IDAHO AGAIN!!!! Secondly, the shirt is awesome, I'm buying one as soon as I can. How about a silhouette of a person doing a back flip off the rough edge below the top? I like the one with the Kong a lot too.